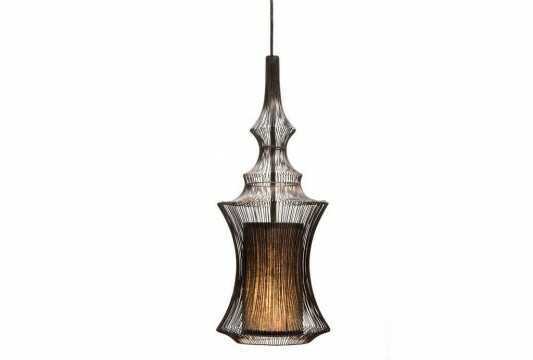 Moire Collection is unique and beautiful blend of design, this pendant lamp makes an attractive choice in any interior decor. This lamp is included into the moire Collection, which consists of three genius of the Emperor Pendant, Opium and Tibet Pendant. 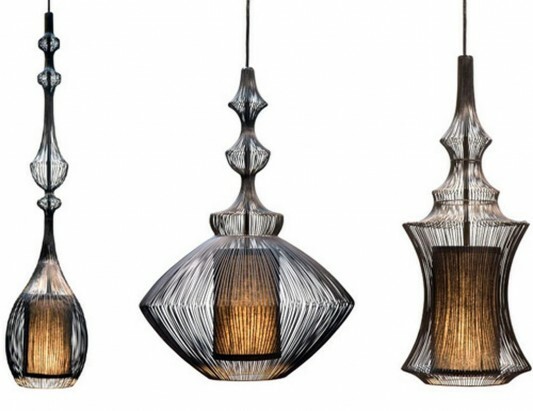 The lamp is made from wire that strung together, creating a visual light and comfortable, allowing it to integrate with various architectural and situations. 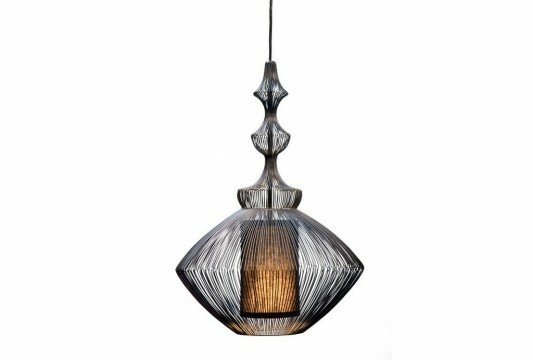 This lamp is available in matt black with black cloth, and Includes 120 volt, 75 watt A19 medium base lamp. For better efficiency option also available: GU-24 TwistLock fluorescent, 18 Watt warm white 2700K. Detailed information visit Shine Labs.